Cosy cottage with sunny private garden on three side. Log fire to relax by and keep you warm and snug in winter. with or without kids effortlessly enjoyable. Sun loungers are stored in the garage. The garage is attached to the cottage, great for storing bikes, kayaks and other toys. just 10 mins by bike to Craters of the Moon mountain bike park. We enjoyed our stay close to town, comfortable cottage and well equiped, all we needed. Brilliant location. Lovely warm house. Perfect for a couple or small family. Loved the relaxing and beautiful garden. Will stay again. Very clean and had everything we needed. Unit was in good condition overall. Easy to warm up with log burner. 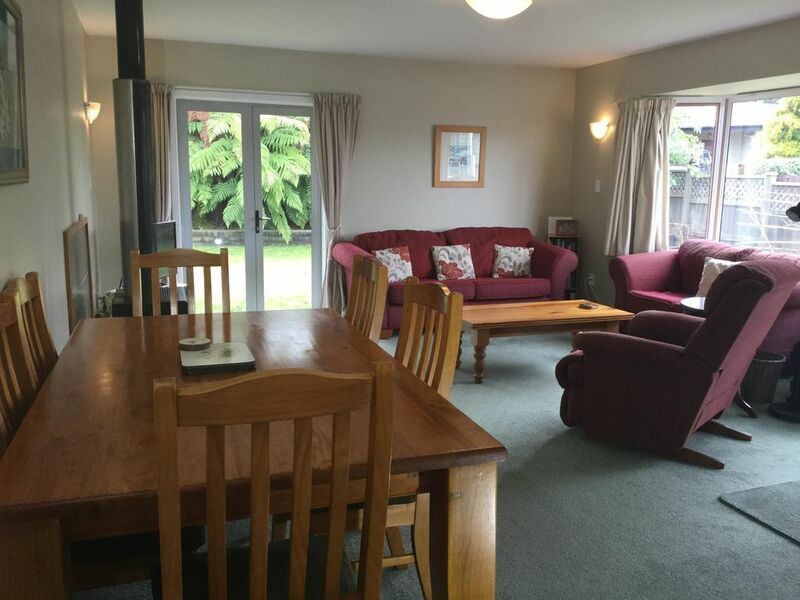 Great location close to town centre, walkable if necessary. Great place loved the fire to come home to. Could do with a curtain In the kitchen for privacy. Also a book of some sort with things to do etc and a note of what we could do with rubbish etc was a little unsure so ended up taking it all with us. Will be staying again next year!